In April of this year Eric Clapton staged his fourth Crossroads Guitar Festival over back-to-back days at Madison Square Garden, marking the first time the all-star benefit (in support of the Crossroads Centre at Antigua) was held in New York City. 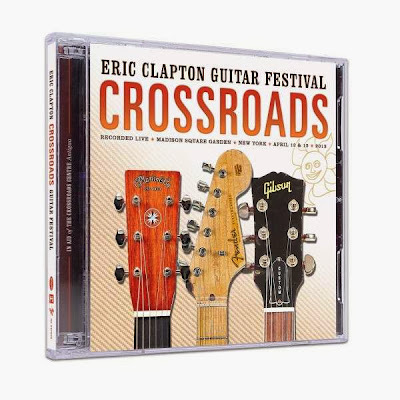 In another first, while all four festivals to date (including preceding ones from Dallas and twice from Chicago) are documented on assorted video formats, Crossroads 2013 is also chronicled on a double-disc live album. Having serious musical chops is no doubt the prime prerequisite to receiving Clapton’s invitation to this event. Yet even the most proficient artists seem to have upped their game when it came time to play, yielding standout performances from the likes of Gary Clark, Jr. (“When My Train Pulls In”), John Mayer and Keith Urban covering The Beatles (“Don’t Let Me Down”), and the Allman Brothers Band, Warren Hayes, and Derek Trucks covering Neil Young (“The Needle and the Damage Done”). 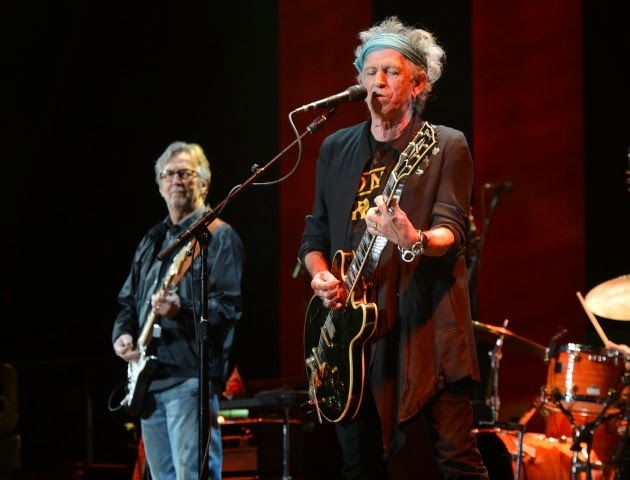 Clapton seems to have upped his game as well, whether in shuffling cool through “Lay Down Sally” with Vince Gill or undulating the blues of “Key to the Highway” with Keith Richards. He summons his most potent moments, though, on Derek & The Dominoes classics “Got to Get Better in a Little While” and “Why Does Love Got to Be So Sad,” the latter with the Allmans. On the whole it’s a wonder that past Crossroads Festivals haven’t found their way onto live albums such as this, but Crossroads 2013 nevertheless has made for a most-enjoyable one.